809 Phaeton Pl. 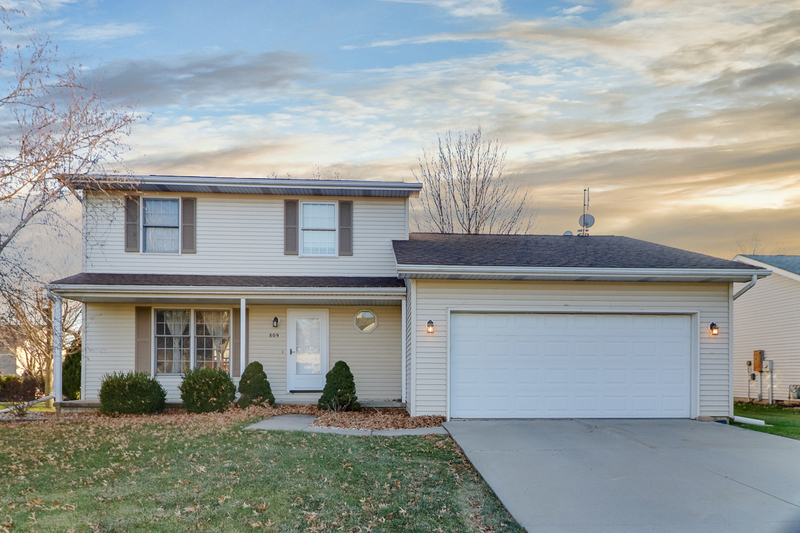 Normal, IL 61761 is a Traditional 2-Story home nestled into Carriage Hills! This spacious home has more to offer around every corner. Walk in to the open entry way partnered with the formal living room. The eat-in kitchen offers plenty of space for a large table to fit all of your guests! The large family room is accompanied by a half bath, surround sound, and extra entertaining space – currently being used to host a pool table! Upstairs you’ll find the master suite w/ vaulted ceilings and two additional bedrooms with full bath. Partial basement is partially finished providing more living space or great storage. Backyard offers a nice deck and lots of lawn space. A portable generator runs the front room, kitchen, master bedroom and bath. Garage has electric heater! Come check it out!